As smartphone penetration rates plateau and the global market matures, the growth frenzy of past years has cooled down to give way to more modest growth. In 2014, IDC proclaimed that the slowdown has arrived and that smartphone shipments would continue sliding in growth until 2018. This poses a massive challenge to smartphone vendors, as a maturing market means maturing consumers and therefore more selective purchasing. A recent Gallup poll of American smartphone users found that only 2% update whenever a new model is released, demonstrating that the upgrade cycle is indeed lengthening as consumers are less and less inclined to trade in their existing devices for new ones. What do consumers really need? While growth may be slowing down, competition is ramping up. This is especially the case in China, where the market has always been a battlefield. In 2014, China’s smartphone users surpassed 500 million strong, turning the country from the world’s mobile phone manufacturer to its largest consumer market as well. As a result, marketing gimmicks have exploded in popularity, from fancy social campaigns to media invitations to anything capable of hyping a product up for hot, short-term sales. But despite the allure of such fast and easy approaches, the only way to combat competitor brands for the evolving smartphone brand OPPO is to consistently deliver high-class products – the one and only unbeatable long-term strategy. The smartphone market may be engulfed in heated price wars, but quality has the final say in the long-term. That is why OPPO puts a laser focus on delivering stellar user experiences and first-class hardware specs, so that consumers receive the best in both technology and design. Its commitment has been recognized by the industry, as OPPO was selected as one of China’s most respected enterprises in 2014-5 by the Economic Observer, the country’s leading financial publication. Furthermore, it was the sole mobile phone brand to be named on the list. No wonder, then, that OPPO has maintained steady growth in a tiring smartphone market. In 2014, OPPO achieved registered market shares of 10% in Indonesia, 11% in Vietnam, and 12% in Malaysia, and has even established its first overseas assembly plant in Indonesia to service booming demand in the region. 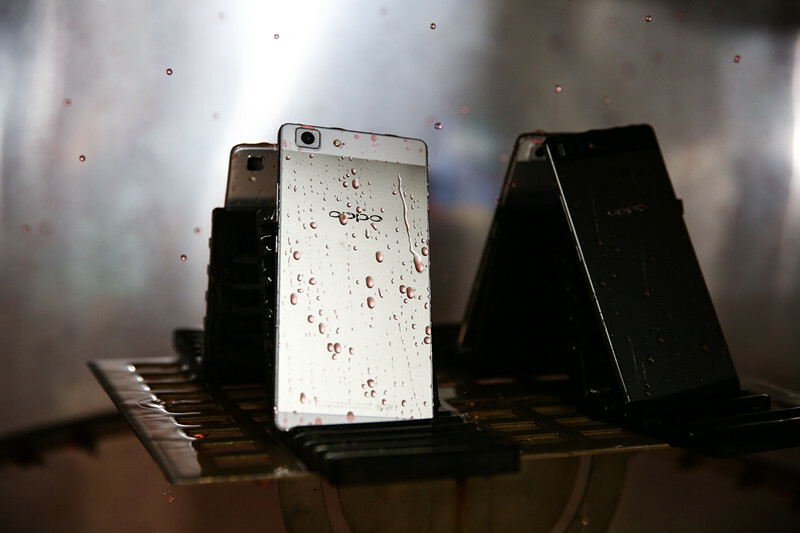 As product quality cannot exist without design and vice versa, OPPO invested 6% of its revenue in R&D in 2014. The result is a series of consistently outstanding mid-range devices such as the OPPO R7, R5 and Mirror 5. Its commitment to quality is evident at every detail, as evidenced by the Mirror 5’s luxurious, diamond-inspired effect and the R7’s beautiful “violin arc” design. In order to realize these revolutionary designs, custom tools had to be made for machines. Such was the case for the R5, whose micro-arc frame required tailor-made production tools. Furthermore, OPPO enlisted the help of trained craftsman to smooth and polish the devices by hand in order to guarantee a flawless finish. With such investment across R&D and production, it is no surprise that the R5 has been labeled by some as a high-end smartphone despite its mid-range positioning. The investment extends far beyond R&D. 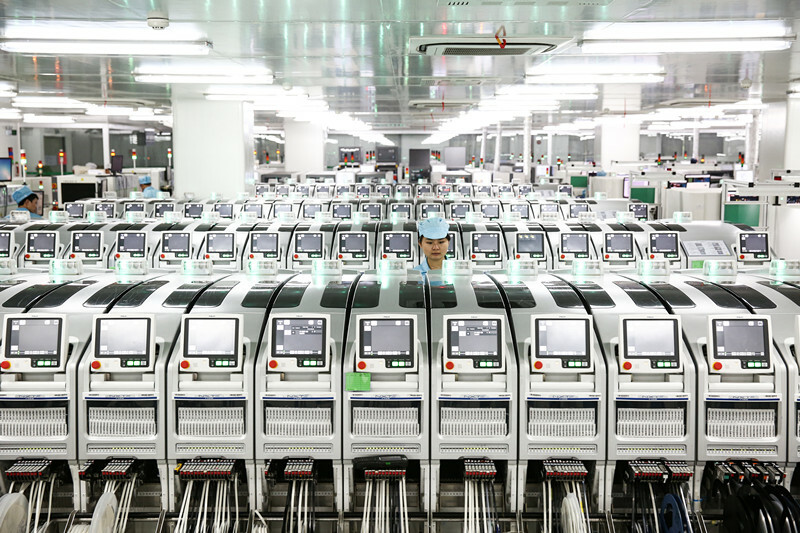 To ensure that consumers receive nothing but the best, OPPO has established a rigorous testing process that sees devices undergo as many as 100 different examinations. 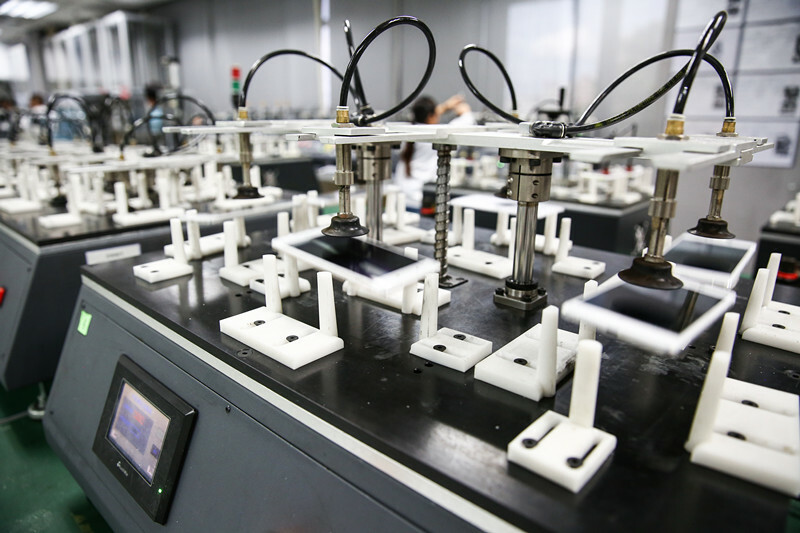 Its testing center and QE lab abides by quality standard systems higher than national and industry standards, while its quality monitoring covers the entire product life cycle. Moreover, quality tests have been designed to reflect the actual consumer experience, so that common but overlooked motions such as USB plug-in/out, slight drops and key use are tested. When it came to its landmark smartphone the N3, OPPO had to conduct strenuous tests on the device’s rotating camera, the first of its kind in the world. The rotor itself was subject to a test of 100,000 barrier-free rotations, and it came away the victor. This means that the N3’s camera can function fully for seven years without issue even if subject to 40 rotations a day. According to Sky Li, Vice President of OPPO and Managing Director of International Mobile Business, “OPPO seeks to provide premium products to consumers by actively exploring movements in the marketplace, discerning changes in consumer demand and developing different product series so as to meet the entire range of user needs and requirements.” As increasingly savvy consumers differentiate smartphone options on the basis of quality, OPPO is there to deliver first-class products created by an unrelenting commitment to quality and design. As it coolly climbs up in an overheated smartphone world, OPPO has proven itself to be an emerging brand well worth following.